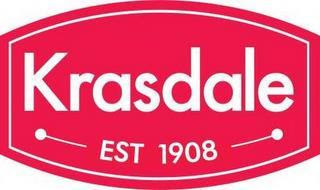 White Plains, NY-based Krasdale Foods, operators of Bravo and CTown Supermarkets, has registered a trademark on a newly redesigned logo. Although the logo is not yet in use for the corporate website or on private label products, it is likely to be introduced in the coming months. The logo change comes as the wholesale company approaches the end of its 100th year in business. What does everyone think of the new logo? I think it's simple and clean, although I would have liked to see a period after "EST"! The old logo was a little too similar to Pathmark for me, and the "s" just didn't work. Agreed, the new logo looks much better.